Ecommerce websites are in a trend these days. You need not to go to market if you want to buy anything, just go to any ecommerce website select the category, filters and then choose your item and do the payment for that. They will deliver your item to your place soon. After the emergence of e-commerce era, people started shopping online as it takes less efforts and one can have variety of options and brands. 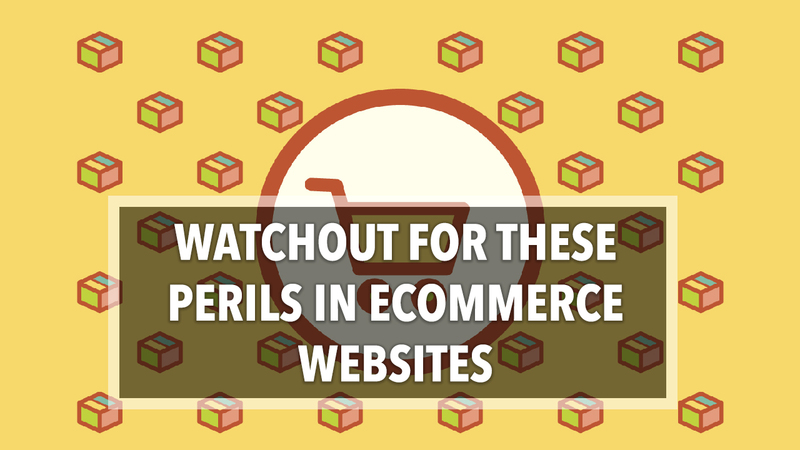 But, it is one side of the coin, another side of the coin is these ecommerce websites are risky. For the people and for sellers too. E-commerce involves buying and selling of products online over internet, it is sales domain of e-Business. Number of tasks are performed in e-commerce website using internet like payment gateways, supply and management of products, electronics data interchange and inventory handling. But, we cannot ignore security threats arising due to these transactional tasks. It can affect the data integrity and authentication factor. The risk of data tampering during information transmission is high like phishing. So, to avoid this a secured method should be established where public key infrastructures and electronic signatures providing verification of authentication. In e-signatures cryptography is used for establishing non-repudiated communication. When a customer trusts any ecommerce website by buying product online then the responsibility of a ecommerce owner gets even more. When this privacy is maintained then in return a customer builds a bond with that site and, again and again he would visit that site because of the earlier good experience in buying. But if it is a portal where documents of a user’s needs to be uploaded then the risk of illegal retrieval of document data is at higher risk. Returning of a product is easy to do and, hence if a customer don’t like a product she will definitely return it. If we go to deeper view we need to configure how the whole process takes place. Suppose you liked a dress in a shop then you definitely would try it and then if does not fits you, you won’t be buying it. It goes same with the ecommerce website if we like a product online we buy it and after product delivery the problem of fitting arises then we will be returning it. That’s simple! This is how the rate of returning happens. Details of the product might be not given or varying like the fabric, size and even the image might be differing on a ecommerce site. Free return policies leads to returning so somewhat charges should be applied with the return policies. Delayed delivery of products may lead to missing of the occasion for which a customer was buying it hence sometimes customer gets annoyed by it, hence chances of returning is there. So above mentioned factors can be corrected by ensuring customer needs to be fulfilled properly. Tracking of a buying pattern of a registered customer could be helpful in this case. There are few fraudsters who buys a product online and claims that the product never got delivered even after getting that to the mentioned address, they ask for refund.To avoid this using a particular number for tracking the shipments and getting signature after the delivery of a product help in confirming safe delivery. When you extend your supply to international market the risk of compliance issue may arise like high shipping charges, delayed deliveries and tax confusions. This can bring bad name to your products. Measures that need to be taken are connect to a partner who can deal with international business where he will lead you with his cross border business expertise. And would help you in getting sound knowledge of regulations around the globe.